Rare survivor, given by France to Poland for the fight against bolcheviks in 1919. 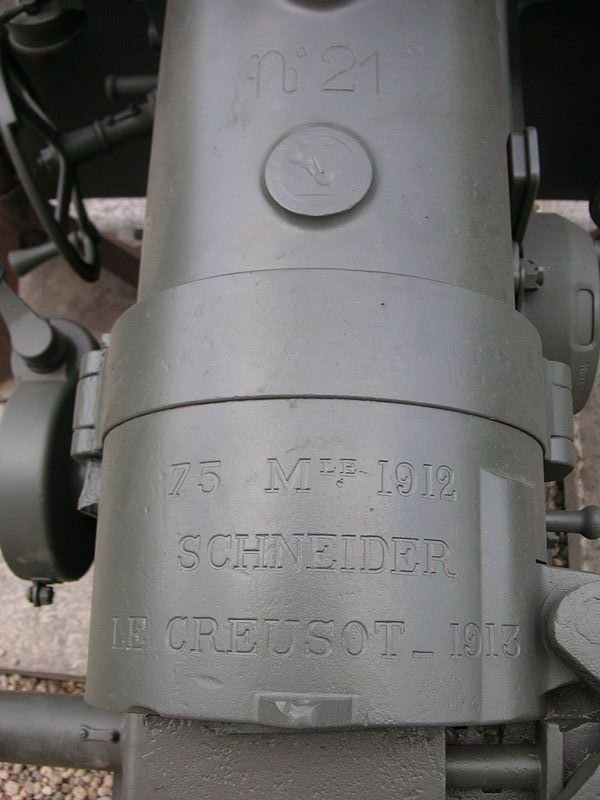 Barrel markings : 'Nr 21 - 75 mle 1912 Schneider - Le Creusot - 1913'. 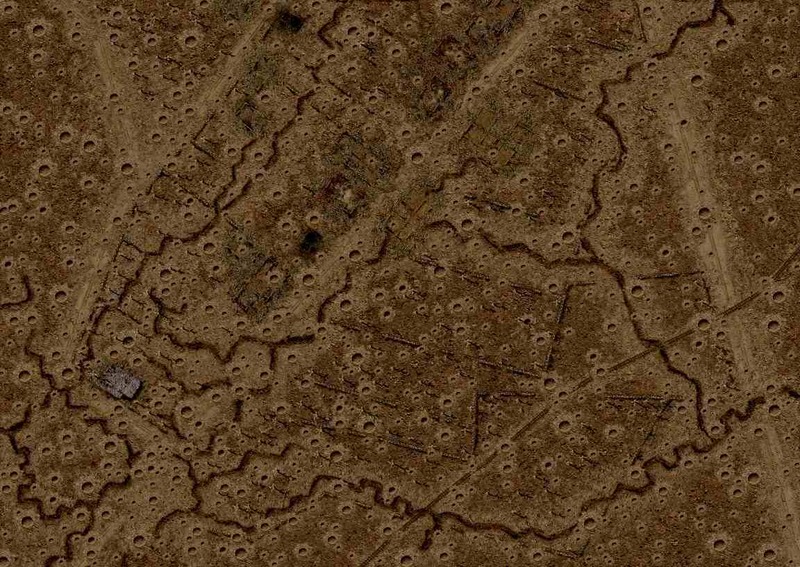 The Schneider Works, in Le Creusot, pride of the private mecanic and metallurgy industry in France, launched themselves in the manufacturing of artillery material from 1870. 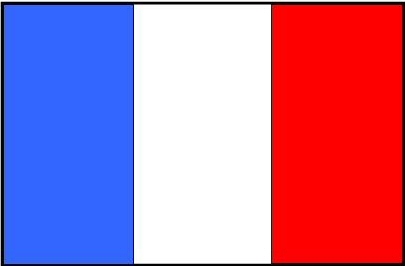 The prolific designers lead by the famous engineer Gustave Canet (1846-1913) invented numerous modern guns for exportation to France friendly countries. 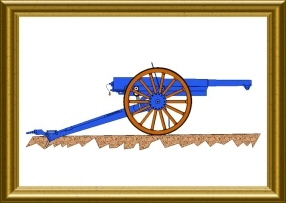 As an example, the canon de campagne de 76.2mm PD13 ('PD' = 'Puissant, Ligne de mire organisée pour la Division des opérations de pointage') was developped for Russia and was equipped with a hydro-pneumatic recoil recuperation system close to the one in use with the famous 75 Mle 1897 (hydraulic brake and pneumatic recuperator, but independant systems) and a quick manoeuvring Schneider interrupted screw breech. 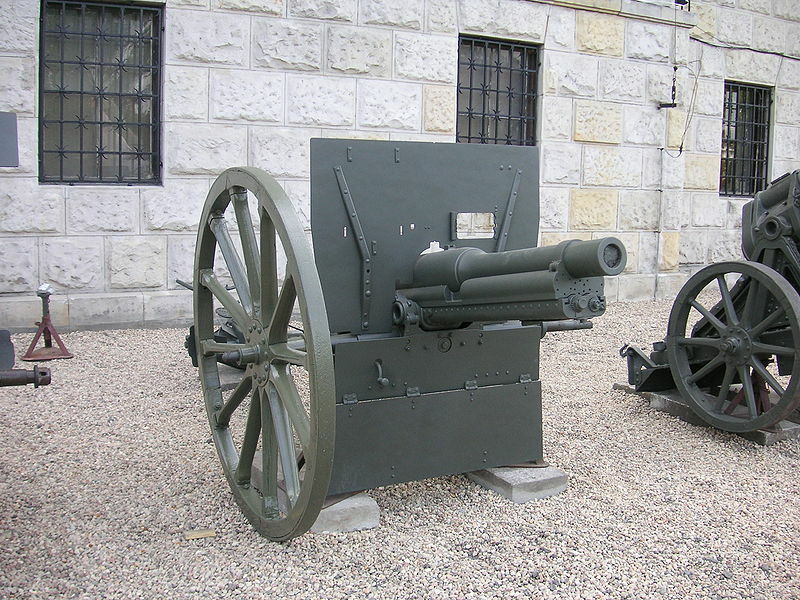 Some of these guns developped before the war were opportunistically adopted by the French Army after some needed adaptations, when the war became likely or after the start of it. This was the case for this good gun whose light weight allowed its use in the cavalry divisions artillery units, the 75 Mle 1897 field gun being too heavy. It was therefore adopted by the French Army in spring 1912, after the modification of the 76.2 original calibre to the French reglementary 75 mm (allowing the use of the 75 Mle 1897 ammunitions), and the shortening of the barrel (from an initial 27 to 25.4 calibres). The new weapon took the name canon de campagne de 76.2mm PD13bis in the Schneider catalog, and Canon de Campagne de 75mm Mle 1912 Schneider in the French Army nomenclature. Available in small quantities in the French cavalry divisions in August 1914, it was subject to two additional orders after the war outbreak (12 batteries ordered in September 1914 and delivered from summer 1915, a nd 200 guns ordered in May 1915 and delivered from mid 1916). The Serbian Army also received this type of guns, initially slightly modified to the Serbian specification and taking the name canon de campagne de 76.2mm PD13ter in the Schneider catalog, and after the winter 1915 disaster, PD13bis types with the French Army specification.